WWE presents two hours of previously unaired programming tonight in prime time. Both 205 Live and NXT will air on the WWE Network beginning at 7 PM est. 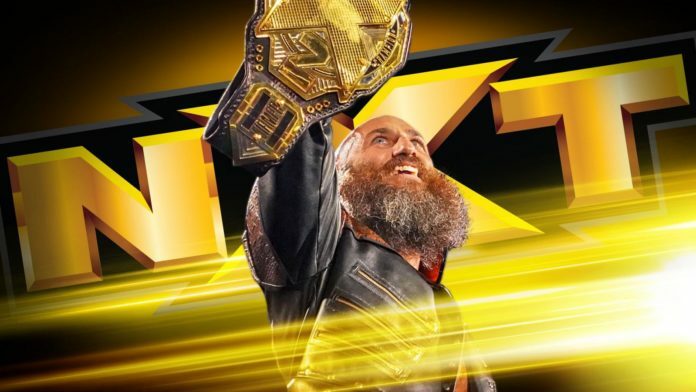 In what will be his first appearance since defeating Velveteen Dream at WarGames, Tommaso Ciampa will address the NXT audience tonight. We’ll find out what Ciampa has to say about his win at Takeover and possibly find out what is next for him tonight on NXT. Dakota Kai used to be petrified of Shayna Baszler. She eventually learned to stand up for herself, however. Tonight, the Captain of Team Kick will be back inside the squared circle with Baszler. Kai’s allies in Io Shirai and Kairi Sane might be nearby but so will Baszler’s teammates Jessamyn Duke and Marina Shafir. The King of Bros will take on the former Ring Of Honor Television Champion tonight. These two only recently started with the promotion this year but both are likely to become major players in NXT moving forward. Neither Riddle nor Martinez will likely want to take a loss this early in their run with NXT so there’s a lot on the line for each tonight. Wesley Blake and Steve Cutler will represent the Forgotten Sons tonight in tag-team action. The team has been getting wins on WWE programming as of late and could start to move up the rankings further as we move into 2019. TJP and Kanellis might want to have a consulting session with the Revival before this tag match. It’s still not clear if Drake Maverick endorses the use of Lucha House Party rules as is done on Monday Night Raw. It’s possible Maverick has entirely other problems to deal with, however. It is scheduled to be a tornado tag team match tonight between these two teams but as of yet, it’s not clear how many members of the Lucha House Party will be allowed to compete in this match. Drew Gulak recently kicked the Brian Kendrick out of his cruiserweight bad guy stable. Tonight, Kendrick and Gulak will go one-on-one. Akira Tozawa has recently become aligned with Kendrick as well, so he might need to help fend off Jack Gallagher should he decide to interfere on Gulak’s behalf tonight.